Autodesk alias is a computer aided industrial design (CAID) software for developing aesthetically beautiful designs. It is mostly used in automotive design and industrial design. It has been developed to create the beautiful outer appearance of products unlike other CAD software like Inventor and Fusion 360, where the internals of the product is also taken care of. It is also used to create the concept design of a new product and helps the designers maintain high standards of aesthetics in their design. 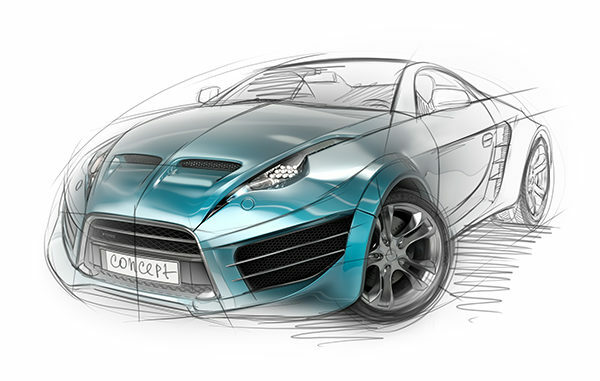 You no longer need to depend upon the traditional sketching methods for creating designs. Alias is an effective tool in the hands of designers and this course aims at introducing designers to this tool. Alias has intuitive features that will make the whole process of designing a lot easier. You will learn how to create and design class A surfaces having perfect curvature. This course will help you with the designing in automotive industry, marine and aircraft design, toys and fashion accessories design. The world renowned Tesla Motors is taking help of Alias in designing the amazing electric vehicles of future. You can contribute your part to their designs once you get hold of the nuances of this software. You will be able to develop mathematically accurate surfaces and streamlined designs. Intuitive design features and developing A class surfaces are few other hallmarks that you can learn after doing this course. Ours is an Autodesk authorized training institute. We follow all the standard methods and practices set by Autodesk and are the leaders in providing world class training to our students. We have standard practices which we abide by all the time and we ensure that we do not deviate from these standards in any circumstances. Our unmatched standards sets us apart from others in the industry. There are plethora of opportunities that will open up once you get trained in Autodesk Alias. You may find opportunities in the market or you may liaison through us to establish your career in leading firms. If you like to enlighten others and learn more about the software then you may also look forward to work with us as an instructor after completing the certification. In either case you will find yourself pursuing a rewarding career. There are few prerequisites for students enrolling for this course. The most essential qualification is having a minimum 10 + 2 years of formal education and an inclination towards developing creative design ideas. Having a Diploma and/or a Bachelors Degree will definitely have an added advantage when you will be looking for building a career at a renowned firm. Students having engineering background and those from Art/fashion accessories design background may also enroll for this course.